Today borrowers can deduct interest paid on a mortgage amount up to $1 million. The bill limits the amount of interest paid on a mortgage amount up to $750,000 for loans after December 31, 2017. So how does this play out mathematically? Today homeowners are exempt from paying capital gains taxes on gains up to $250,000 (or up to $500,000 for married couples) when selling a primary residence. If you lived in the home two of the last five years, this means you’d pocket home appreciation up to $250,000 (or up to $500,000 if you’re married) tax free when you sold your home and then pay capital gains taxes on any appreciation above this amount—the calculation is a bit more complex, but this is the gist. 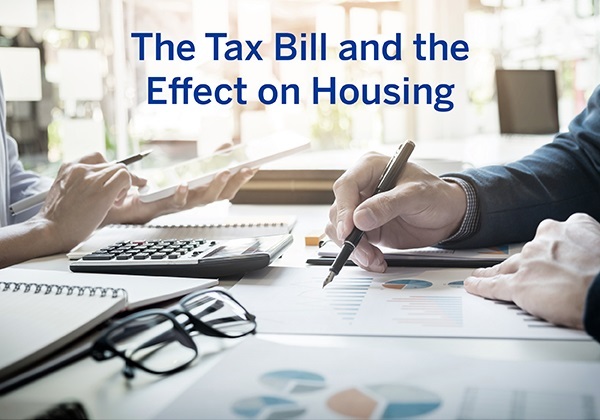 Earlier tax reform proposals would have increased the threshold, but this bill keeps the two year minimum so many homeowners who may want to sell can still receive this benefit.